The sun is setting before 7pm now, casting golden glows of Indian Summer over the fogless Twin Peaks. The past few weeks at the market and in the kitchen I’ve been desperately hanging on to the last fruits of summer: sweet corn, juicy heirloom tomatoes, and the final peaches and nectarines, no longer quite as sweet, and quickly molding in the warm, early autumn air that stuffs our kitchen. All of this adds up to more vegetable matter than we can reasonably eat in fresh form. It also means that in addition to fried and cheesed zucchini, we’ve eaten a lot of corn soup this summer. Or corn chowder, I suppose. See, it’s unclear what really distinguishes a chowder from a soup, especially when it comes to corn. I put cream or milk in other soups, but don’t call them chowders, and many corn chowder recipes seem not to call for the thickener that Wikipedia tells me is the mark of a chowder. What’s more confusing, Epicurious defines a chowder as “any thick, rich soup containing chunks of food,” but no one seems to have a recipe for any chowder other than corn or seafood. I discovered this version of corn chowder last summer, when I picked up my cousin’s CSA box in the waning August light and found bounty of fingerling potatoes, fresh sweet corn, ripe heirloom tomatoes, and a bunch of basil. What to do with all of this? Google, of course. Which led me to this New York Times recipe for corn chowder. The original Times recipe called for much more corn than I had, and cherry tomatoes, not heirlooms. I’m sure it’s delicious their way as well. 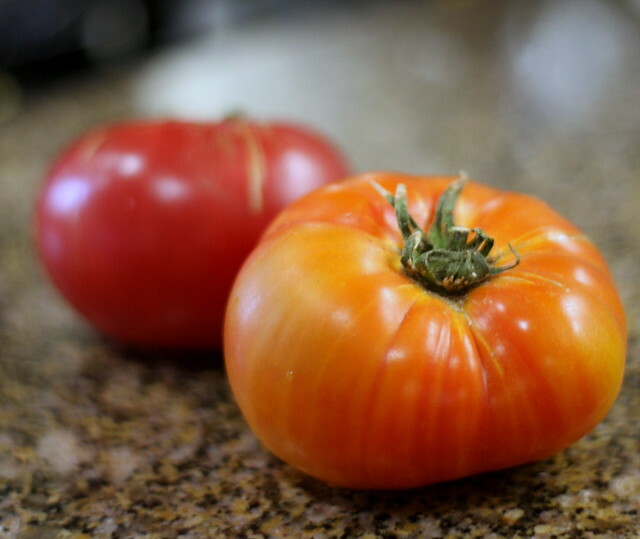 I’ve adapted it to fit a smaller amount of corn, different tomatoes, and to be a bit less fussy in ingredients. 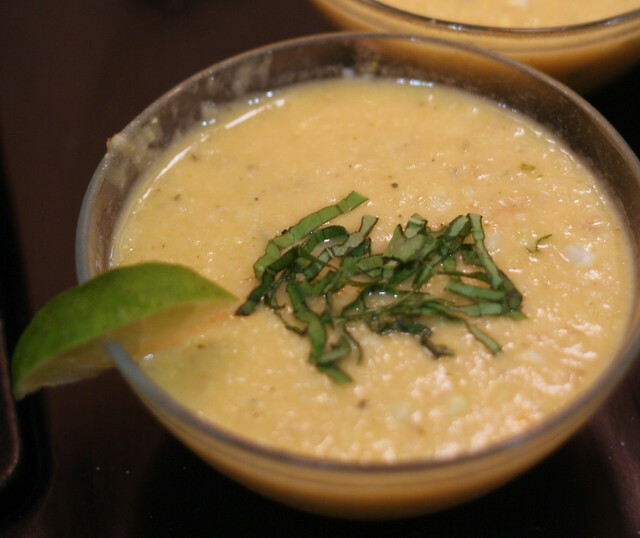 I’ve also made variations on this with a half-cup of cream and blending the soup base before adding half the corn, while leaving out the lime juice and basil, or adding an extra cup of zucchini to the mix, from all that surplus zucchini we had earlier in the summer. 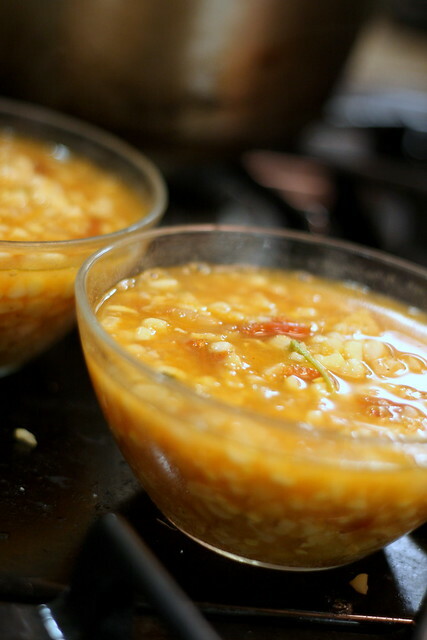 Corn soup is endlessly adaptable, but this is always my go-to flavor combination. Crème fraîche or sour cream, for serving (optional). 1. Cut the corn off the cobs (Simply Recipes details a clever way to do this using a bundt pan). 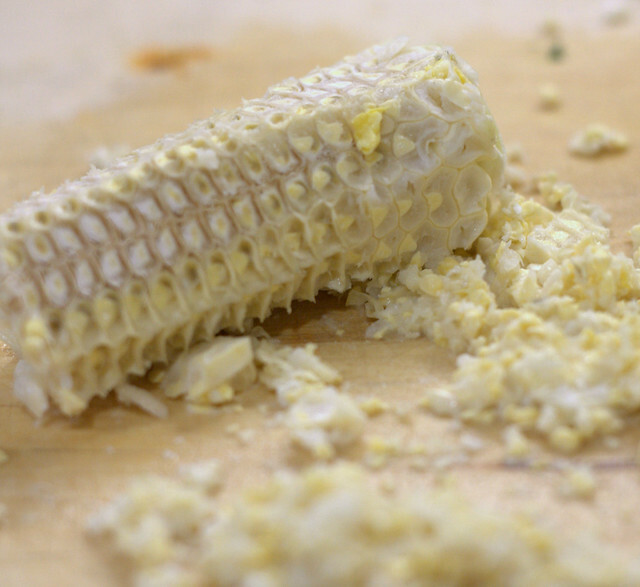 Squeeze the pulp out of the remaining cobs by running the back of your knife along the cob. 2. 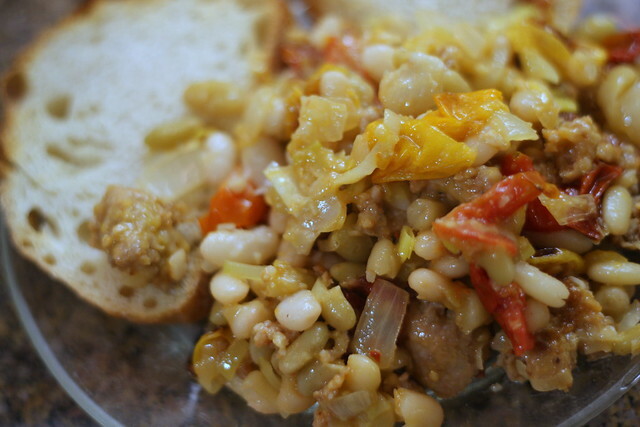 Heat the butter (or olive oil for vegans) in a heavy saucepan or dutch oven over medium heat. Add the onions, and saute until translucent. Add garlic after several minutes, being careful not to burn it. Add the potatoes, and saute for 2-3 minutes. 3. Add water and reserved corn cobs to pot, and bring to a boil. Turn down the heat to a simmer, and leave for 15 minutes or so. 4. 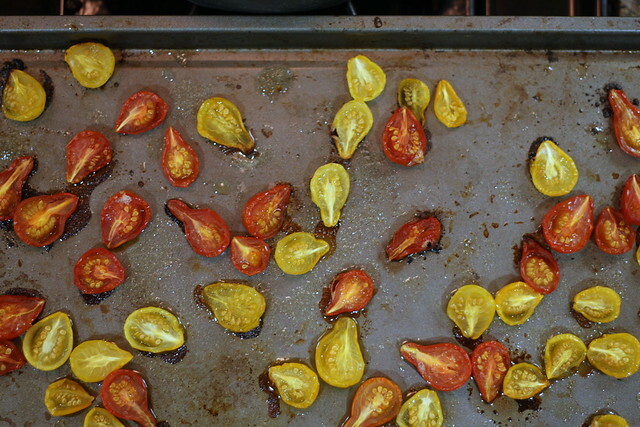 Add tomatoes and corn, and at this point, check to see if you’ll need more salt, and adjust accordingly. Simmer for another 15-20 minutes. Remove and discard cobs, and test for salt again. Turn off the heat, and add the basil and lime juice. Let soup cool for 10-15 minutes before serving. 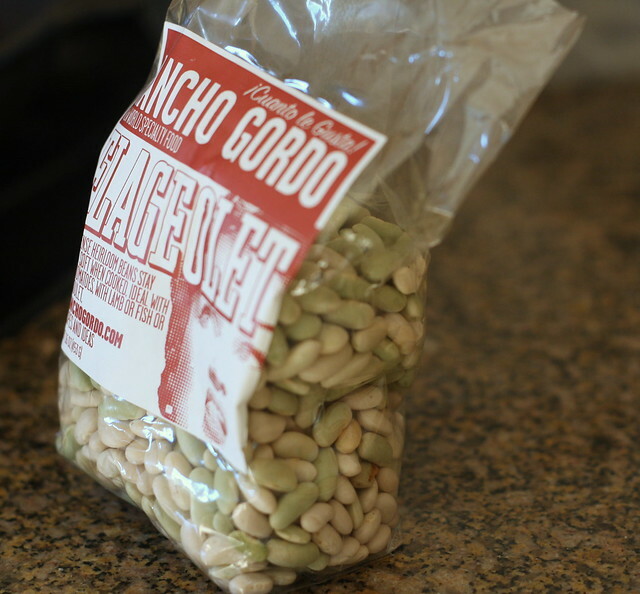 Serve with creme fraiche or sour cream. Add 1 cup shredded zucchini when you add the potatoes in the saute phase. Reserve half the corn kernels when adding corn to mixture. After removing the cobs and turning off the heat, and before adding basil and lime juice, puree the mixture. I use a stick blender for this step, but if you don’t have one, carefully transfer the hot soup to a normal blender and do it there, then transfer back to the pot. Turn heat back on to low, and add 1/2 cup heavy cream or half and half and the remaining corn kernels, and basil and lime juice. Let cool for 10-15 minutes, then serve garnished with basil (leave out the sour cream on this one). Heidi Swanson, one of my Internet heroes, recently posted a recipe for Lillet Buttermilk Shakes and asked whether anyone had other Lillet suggestions. Here’s mine. Lillet also happens to be a favorite in our home. I usually drink it over ice, with a slice of orange. But ever since I had a Lillet-jito at the Front Porch several months ago, I’ve been obsessing about how to make delicious Lillet-jitos at home. Usually, this involves fruit. Sometimes, I also throw in an herb. That’s how I arrived at this concoction. Well, that, and a two-pound container of blueberries, basil from my mother’s overgrown garden, and midweek thirst for a post-work, warm-day cocktail. Note: Fruit or herb can be varied. I’ve tried strawberries and mint, but I imagine any ripe berries and most summer herbs would work. 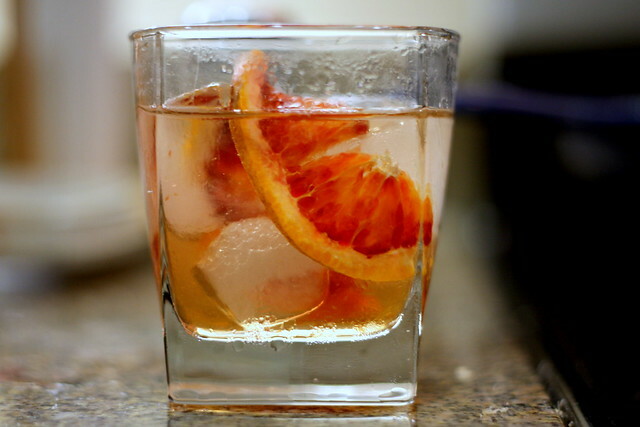 For an extra boozy drink, add a splash of vodka at the end. 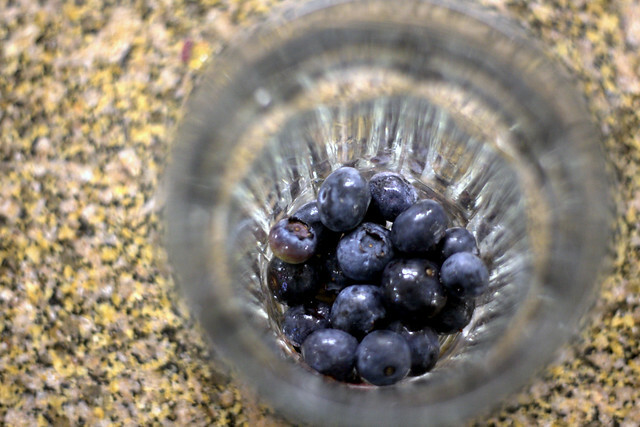 Muddle blueberries, basil, and sugar in glass. Smash the berries if you can (I used the wrong end of a wooden spoon for this). Add Lillet and mix with muddled fruit mixture. Add ice to fill the glass, then top off with sparkling water. Proportions can be adjusted to taste.